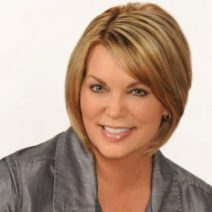 Tracy has accepted the positions of president and CEO of MilSpeak Foundation, Inc., a 501c3 public charitable organization that supports the creative arts endeavors of military servicemembers, veterans, families, and caregivers through instructional on-site and online seminars and workshops, and various publishing platforms. MilSpeak Foundation is the brainchild of Sally Parmer, a retired Marine, who passed the leadership torch to Tracy after a series of family health complications. Tracy explained that MilSpeak Foundation is moving in the direction of building upon its current model of on-site writing workshops for the military community and digital publishing by adding components such as online workshops, editorial fee-based services with academically qualified veteran-authors to assist with manuscript preparation, a print-on-demand option for future select titles, and an employment rehab vocational component to provide job opportunities to veterans and military family members who are qualified to assist with teaching and editorial services. “MilSpeak Foundation has now absorbed my On Point Seminars & Workshops as a training division,” Tracy said, adding that this new division also includes her specialized On Point Women Warrior Writing Workshops, a collaboration with Paula Broadwell’s Think Broader Foundation.